Does your neck and shoulders hurt because you mishandled some boxes as you carrying them on your shoulders while moving house? Does your back hurt after being tackled roughly to the ground by your boys in horseplay? These are acute body pains, more common than chronic aches, which typically gets treated by your local chiropractor in Brick, NJ. Chiropractic treatment is considered an effective treatment for neck and back pain. Chiropractic care is based on the principle that the body naturally heals itself, and that healing and good health depend on a nervous system that functions normally. Any interference in this function leads to pain. On the other hand, a nervous system that is allowed to properly control the functions of cells, tissues, and organs can reliably fight disease. Chiropractors are the experts in locating these interferences in the nervous system and reducing their effects so as to restore the body to its natural state of health. The basis of chiropractic treatment is the understanding that the most common interference to the nervous system is the 24 moving bones of the spinal column. Any disturbance to the position of any of the bones, or an imbalance in motion, can aggravate and weaken the function of the nervous system, undermining the control of nerve impulses. Chiropractors are the skilled authority on spinal health. Primarily through manual spinal manipulation (or of other musculoskeletal structure), the bones are restored in their proper alignment, thus setting the means for the body to heal itself and joints to become mobile and whole again. Before any treatment is recommended, however, the patient’s case history is taken, particularly instances of past surgeries, accidents, and existing conditions. After reviewing the patient’s history, including a neurological and orthopaedic examination—X-rays are taken to reveal any structural or functioning spinal problems or malfunction that would cause any nervous system deficit—the chiropractor can then offer a treatment plan, which is a procedure of chiropractic adjustments customized for the patient alone. 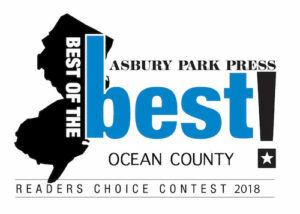 If you are one of the 35% of the 22 million Americans who visit chiropractors annually seeking for effective and non-surgical treatment for the relief of back pain, consult with an experienced chiropractor in Brick, NJ, such as from established centers like Back and Neck Center of Brick, LLC. In these state of the art facilities, you will experience the safe alternative to back or neck surgery, while also being counselled on important changes in lifestyle habits, proper exercises and rehabilitation plan, and nutrition.